I have to admit, I love getting the chance to review things and so I jumped at the chance at Fiona from The Sewing Directory’s offer to review four of the D&C How to Sew series. What really drew me in was the fact they would be accessible on my iPhone which would give me a chance to read them on my daily commute to work. “But surely, you could read them in paper form anyway?”, you might ask. All well and good, but I have never been one of those people who can, for example, knit in public, and so I find parading my hobbies around in front of people in that way to be overbearing [edit: overbearing’s not the right word here – I think I probably just mean “a bit embarrassing”] . I know this is a weird foible of mine, and I’m also fairly sure that no one really gives a hoot but me, but there you have it: that’s how I feel about it. I found it really nice to be able to sit and read a short book (or four) on my favourite hobby with discretion (I can see why people with Kindles and the like enjoy them so much) and, even though these little books are aimed more at beginners, I found them informative and interesting. Obviously, any one interested in taking up sewing as a hobby would go on to larger and more in-depth reads but these are great for new starters. In the same way that I love S.E.W, I loved this book from the start. To start, It has a nice short section which gives a good introduction to the different types of fabric, thread, embellishments and techniques. 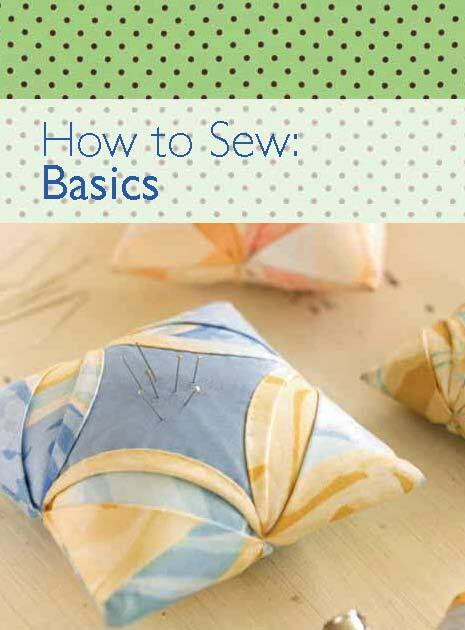 How to Sew: Basics also gives a list of recommended tools and notions for beginners. From experience (and from not having done this myself) When you’re starting out from scratch and you have no idea of what you’ll need (or even if you have no idea of what that thing you bought is for), it’s always a good idea to get a guide from somewhere. This book is is a good starting point, although I would also recommend getting additional information from somewhere else, as a back-up. I have to say, I was also impressed with the mini tutorials towards the end of the book (and in all the subsequent books) although I thought the accompanying pictures could have had a little more contrast in the stitching to make the techniques more obvious. This was especially hard to see on the little screen on my phone, but became much clearer on a PC monitor. I hold my hands up to this: I don’t do much appliqué. I think this is bceause I have to relearn the blanket stitch every time I do it – it’s just one of those techniques I can’t get into my head – and it just drives me up the wall. Maybe this handy little book can help me by just being there, instead of my having to go and find the book I normally use every single time. Having said that, I did make a rather lovely quilt with some lovely butterfly appliqué on it a while back, and this would have been handy at the time. You see, I didn’t know that if I was using bondaweb for the butterflies then I would have to do some extra stitching to hold them in place (I do now!). As with the previous “Basics” book, I really liked the tutorial element of this book. Whilst I would maybe not make a denim jacket exactly like this for myself, the same principles applied to a little girl’s (or boy’s) jacket could turn out to be really cute. 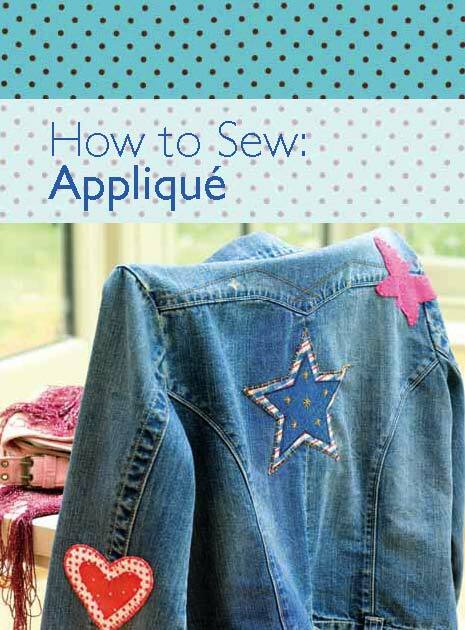 In fact, it was nice to see that the ideas presented in this book as tutorials (and, again, in all the “HOw to Sew” series of books) were different to what you might see in other similarly targeted books. All the techniques outlined were well-defined and succinct, and I was impressed by the inclusion of a set of supplies for both the UK and for the US. And not just the bog standard suppliers you see everywhere else! How to Sew: Machine Sewing. 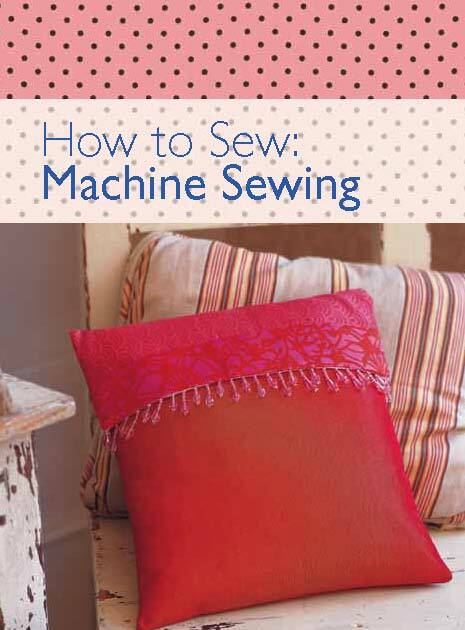 Machine sewing is the foundation on which most of my skills have been learned and so I was really looking forward to this book. I was really happy to see all the groundwork covered: from feet to the stitches themselves and when to use them. I think, for a lot of people who are starting off, machining is actually quite scary and so how to Sew: Machine Sewing really takes the edge and mystique off it a little bit. Again, and this is a bugbear with most of the books, I wish the diagrams were in a little higher contrast. Dark red against dark blue doesn’t really stand out enough for me and especially not, as before, on a little screen. However, it’s not impossible to see so I can’t gripe too much! One thing I do have to say though (and this might just be me…) but why would you get someone to use fabric glue to stick a ribbon to the front of a bag you’ve just made up on a sewing machine. isn’t that cheating?! Or at least defeating the purpose of teaching someone how to use a sewing machine?! Again, all the projects at the end were suitable for beginners and well laid out. My boyfriend’s mother is an accomplished quilter and I had the privilege of her showing me how to cut properly using a rotary cutter and mat. There are a few things she taught me which I found invaluable which don’t really come through in the first section – always cut at a 45 degree angle, always have two square and straight ends to ensure your cut is right etc – and a little additional information would have been useful. A little about chain piecing to save time and fabric would also have been nice, although this was hinted at in one of the diagrams. However, I understand that this is a basics introduction book, and that you can’t have everything! 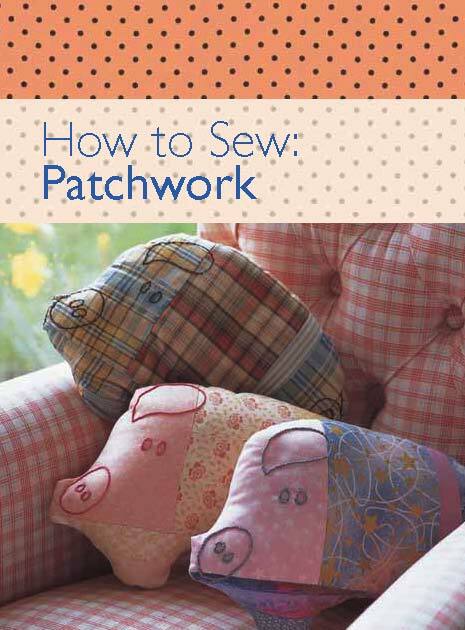 All the basics are covered really and, on the whole, it’s a good basic introduction to patchwork. I think perhaps there should have been more discussion around the process of quilting itself, however, as that can often be one of the most difficult parts (especially for a beginner). What I like about this set of books was how they were unassuming and pleasant to read. They assumed little to no prior knowledge (which is an advantage, given the target audience!) and were short and sweet. Although you couldn’t make up a library from these, they are definitely a good beginners purchase (or gift) and I would recommend them to anyone starting out. And may I also say how useful it is to have a different set of suppliers per book – you could build a whole arsenal up that way! I enjoyed these reviews & will look out for the series in order to recommend them to beginners. I love the pig patten too. …………of course I meant pattern! I think there area few more as well. Possibly one on hand sewing – I’ll let you know if I see any about! I’m sure you will have something similar in Australia with Australian suppliers in the back too.